Speaking of the Minneapolis Sound, Jesse Johnson produced the album Ta Mara & The Seen by the group of the same name. I own the cassette. Yes the album/cassette was released in 1985 and I still have the cassette. I can’t find the cd version anywhere and I would love to download it. Anyway the album is great. Just about every song on the album is worth listening to. Even though Everybody Dance and Affection are the most popular songs from the album one of my favorites is Thinking About You. Check the song out on the video below. Boy does time fly. I haven’t been here for over a year. I guess I lost that blogging feeling for a while. WordPress has made some changes so I’m trying to get use to the newness of what’s going on around behind the scenes. Congrats to the latest Powerball winner. Solomon Jackson of Columbia, South Carolina won $259.9 million in last Wednesday’s big drawing. He only spent $2.00 on tickets (that sounds like me). COLUMBIA, S.C. — The retiree who won the $259.9 million Powerball lottery in South Carolina went to the store where he got the winning ticket for its cheap gas. “I wanted to save my 3 cents a gallon,” Solomon Jackson said Tuesday of his stop at Murphy USA gas station, which followed a stop at his favorite store: Wal-Mart. “It’s the savings place, for those of y’all that don’t know,” Jackson told reporters at a lottery claims center in Columbia, S.C.
Jackson, a former assistant supervisor at the state Department of Revenue, now has the happy task of figuring out what to do with the quarter-billion dollars he won in the Aug. 19 Powerball drawing. He shelled out $2 for the win. During a news conference, Jackson said he would use some of the money to support education programs in South Carolina and would find ways to help others with his winnings. While doing my usual web surfing I came across this news item at FoxNews.com. There’s a new web browser that caters to African Americans/black folks called Blackbird. Blackbird was founded by three black entrepreneurs. In turn, we can provide you with up-to-date information about what’s hot in our community as well as news and user recommendations related to all things African American. So, we encourage you to download and try Blackbird now that it’s available! (Better than 9 out of 10 of the users that downloaded the alpha version the Blackbird Browser continued to use Blackbird as their main browser). Blackbird is operated by 40A, Inc., a company founded by three African American entrepreneurs, Arnold Brown II, Frank Washington, and H. Edward Young, Jr. Reaction from black bloggers, tech writers and commenters has been, shall we say, a bit mixed. “The way this browser is marketed, the language, and the very idea that Black people somehow need a different piece of software to deal with the Internet all rubs me the wrong way,” wrote K.T. Bradford of Laptop magazine. The BlackWeb 2.0 blog was more supportive. Blackbird was built using Mozilla technology, which gives the browser a similar look and feel to Firefox. And by default, BlackBird imports all of your Firefox plug-ins. But what makes Blackbird different is its custom add-ons, bookmarks, relevant bookmarks, and themes designed to cater to the Black community. I haven’t downloaded Blackbird. Right now I have IE and Firefox. I use Firefox about 90 percent of the time cause I was having too many problems with IE. I might download Blackbird just to give it a look see. But Firefox remains my number one browser. Is Love That Girl by Raphael Saadiq. Love, love, love this song. Love That Girl is from Raphael’s latest cd The Way I See It. This isn’t the official Love That Girl video but it will do. Apparently the official video can’t be embedded but you can check it out at YouTube. You can check out this live video of Raphael performing in Washington, D.C. back in September. I’ve been hearing this song for the past few weeks but I had no idea who was singing it. I finally found out who the singer was this morning. Boy does this song bring back the sound of real music. Yeah I said it!! Considering the pathetic state of r&b music today this song is welcome into my music collection. Love That Girl has me snapping my fingers and I haven’t done that in years. Raphael was the lead vocalist for the 90’s r&b group Tony! Toni! Toné!. He was also a member of Lucy Pearl. Check out Raphael’s official site. I can’t believe it. I’m hooked on Gilmore Girls. Gilmore Girls ran for seven seasons (from 2000 thru 2007) on the WB and the CW networks. While surfing through Netflix a few weeks ago I was trying to find some tv shows to place in my queue and somehow I ran into this show. I had heard about Gilmore Girls but I never paid any attention to the show. After reading about the first season and the mother/daughter relationship I decided to check this show out and I love it. Right now I’m watching season 2. I have seasons 3 through 7 sitting in my queue right now. Gilmore Girls stars Lauren Graham as single mom Lorelai Gilmore and Alexis Bledel as her daughter Rory Gilmore. They live in the fictional town of Stars Hollow, Connecticut outside Hartford. It took me a few episodes to get use to Lauren Grahams’s character but she has grown on me. I have never seen a mom like her on tv. I love the quirkiness of the main characters and the supporting characters as well. If you’re looking for a show that’s different and don’t mind quirky characters check out Gilmore Girls. 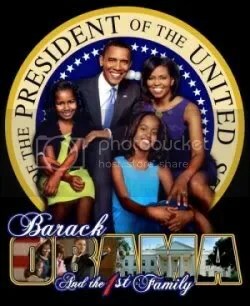 You can check out the show at ABC’s Family Channel. The weather today was unusually pleasant for August. Yes it was cloudy but it was also cooler than normal. It’s usually 90 plus degrees around here but apparently we’ve got a cool front hanging around here. I’m not complaining cause I know it won’t last long. It’s suppose to stay in the 70’s through Wednesday. After that it’s back to normal for all you hot weather lovers. 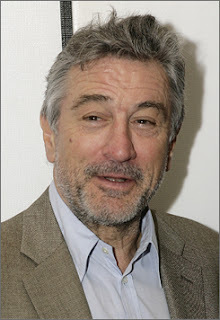 Happy belated birthday Robert De Niro!! De Niro is one of my all time favorite actors. He turned 64 years old last Friday. HONOLULU — Traveling allowed Robert De Niro to celebrate his birthday twice. De Niro first turned 64 in Melbourne, Australia, on Friday where he attended the grand opening of his latest Nobu restaurant. Then he caught a private jet over the international dateline and had another birthday Friday in Hawaii. While many his age are thinking about retirement, the Hollywood star seems as busy as ever with his film career and Japanese restaurant chain, which is quickly expanding internationally. “I have time,” he said on his birthday, sitting in one of the private rooms at his swank Nobu Waikiki restaurant, which opened in May. Sales of homes over $5,000,000 in Manhattan are going great. While a housing crisis is going on in many parts of the country due to subprime loans, townhouses and co-ops are selling briskly in New York City. Stribling Private Brokerage has a new report out about the over-$5 million Manhattan home market and guess what? It’s better than ever! Why, there’s been more such townhouse sales—56—in the first six months of 2007 than there were in all of 2005, 2004, 2003 or 2002. And last year had 60 townhouse sales at $5 million or more, so 2007 should beat it big-time. Finally, there were more townhouse sales of at least $20 million each in the first six months of 2007 than there were in every other year combined. The first six months of 2007 saw 69 co-op sales of at least $5 million each, more than in any other year—and tying 2005’s number. This 2007 pace is also set to break last year’s high of 83. So, just what makes 2007 such a smashing year for the luxury housing market? The same things, apparently, that make it such a smashing year for the market overall: foreign money, local money from a very healthy Wall Street, hedge fund money, money, money and more money. And low inventory, particularly in co-ops, can’t dampen the whooping good times. Nor can this pesky credit crunch as the sorts of people who buy $20 million townhouses or $10 million co-ops don’t normally dwell in the mortgage markets too much, subprime or otherwise. Each year the Manhattan real estate market has its traditionally sleepy August and the media publishes negative reports. However, in each of the last several years, the market has come out of Labor Day only to surge to new heights. So, get back early from the Hamptons. It’s going to be a rager. Damn, townhouses selling for $20 million?? ?